The images that give me the most hope, the most pride are when people come together to fight for something greater than themselves. The images that give me the most fear, the greatest dose of cynicism is to see a place where there can be no mass action. The people are gone. 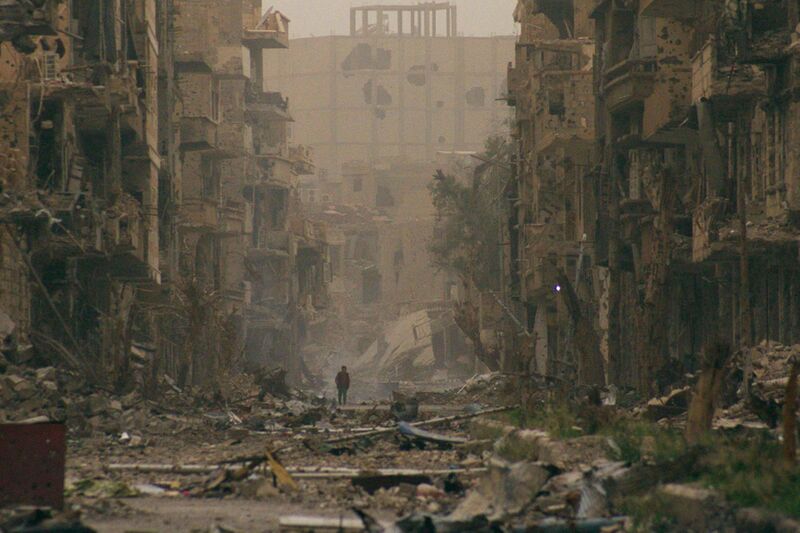 Huge swaths of Syria are nothing but rubble- their people killed, fled, or joined in the civil war. And even if there is no formal military intervention, the causes and the outcome of the Syrian conflict are intertwined with our own past, present, and future. At some point, there is no justice. No ideals. No sense of right and wrong. There is just carnage. And it speaks its own story.